Susie Crank is a daughter of Rose Williams and a sister of Alice Cling. Each piece is coil built, stone polished and amazingly, she says he may burnish a piece over and over as many as 15 times to get a high shine! 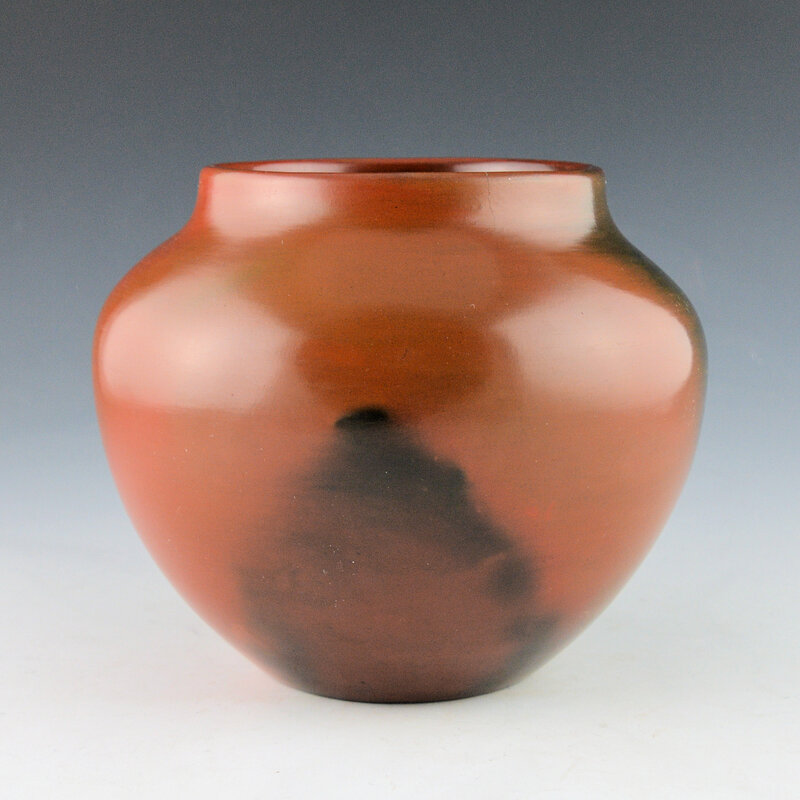 This water jar has a round body and a short neck. The jar is then traditionally fired to create the fire-clouds on the surface. 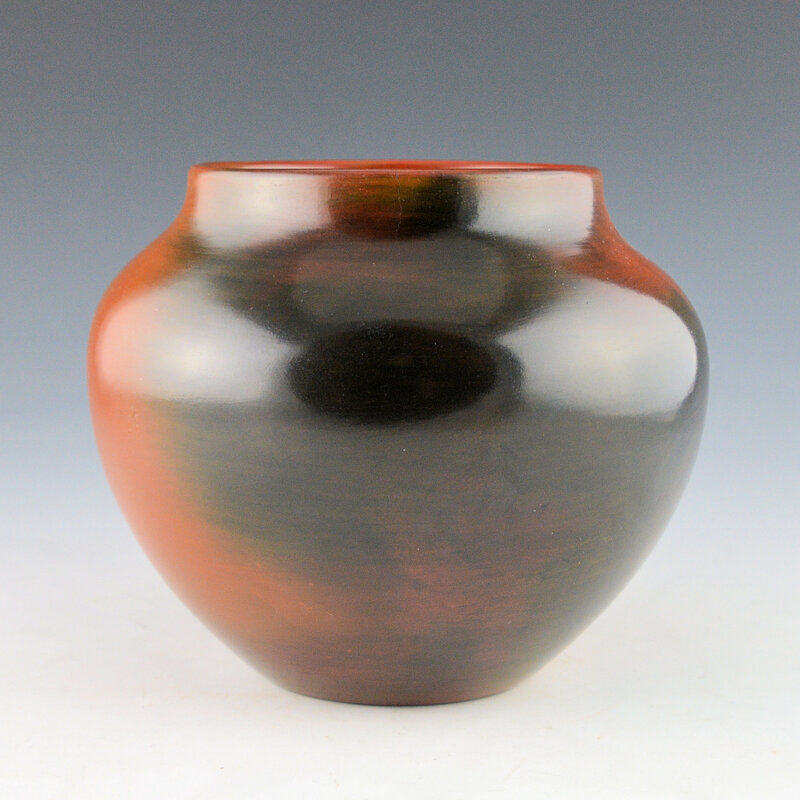 The colorations on this jar range from black to a deep red. 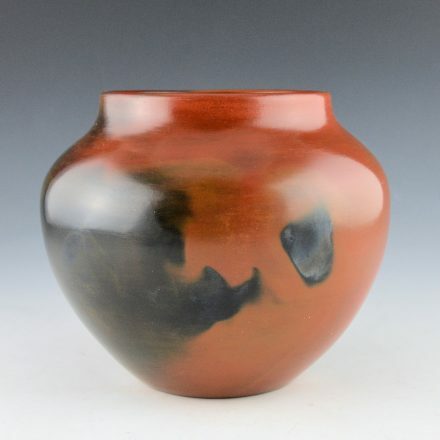 The jar was covered in pine-pitch after the firing, a continuation of the traditional Navajo pottery when pitch was used to make the pottery waterproof. Today, the pine pitch seals the vessel and gives it the shine. 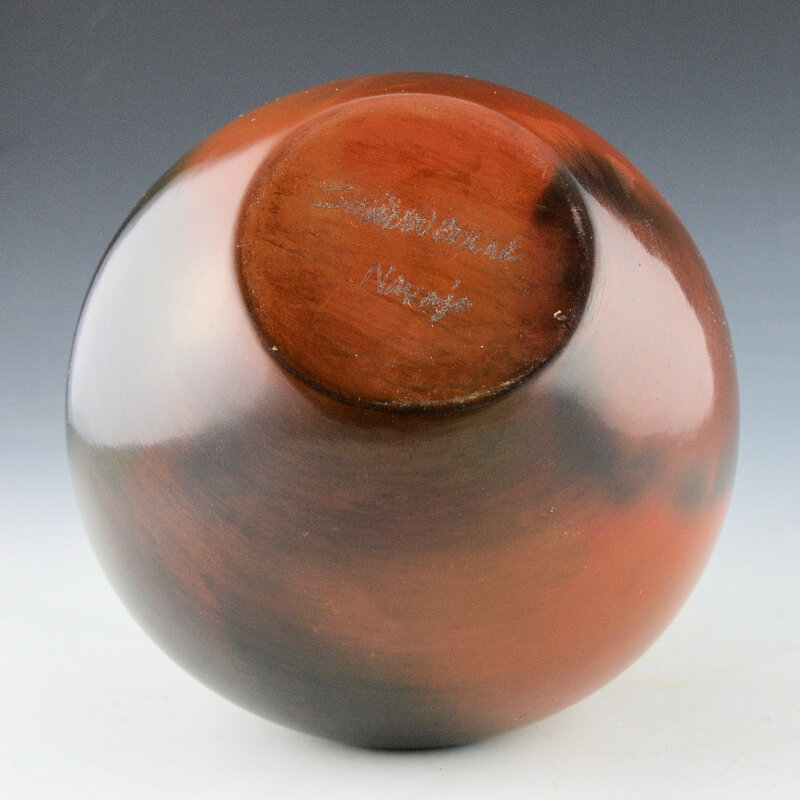 This jar has a stunning shine and a great feel to the surface! It is signed on the bottom in the clay, “Susie Crank”.